Photo mosaic on acrylic glass - with 1000 photos & free preview! 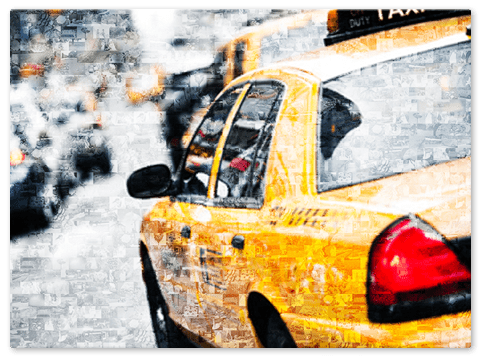 What is an acrylic glass photo mosaic? An acrylic glass photo mosaic is a photo mosaic which is printed directly on the back of a glass plate. The motif shines through the glass and gives the effect of a framed photo. The mosaic acrylic print looks like it is lying behind the glass. 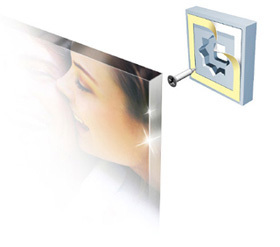 Because of the smooth and shiny surface, acrylic glass is perfect for printing photo mosaics. Details in the individual images are reproduced clearly and can be easily seen within the complete image. 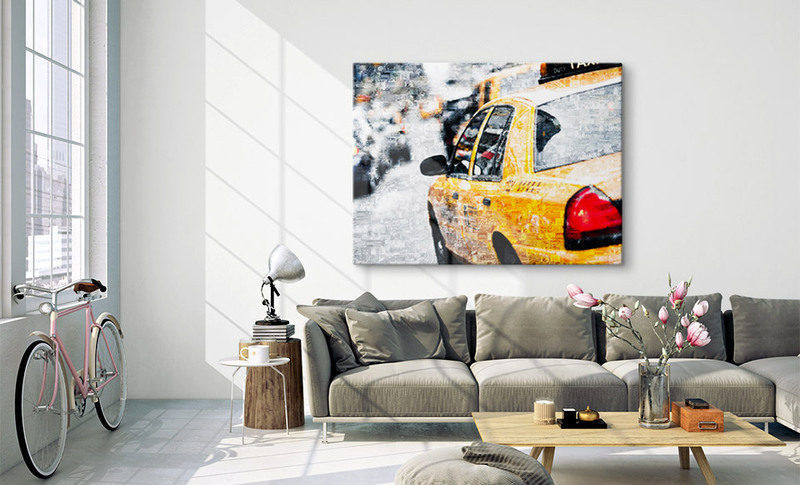 The mosaic acrylic print is break resistant. It is much safer than normal window glass, and is perfectly suitable for households with children or animals. In addition, the mosaic photo print on acrylic glass is water and weather resistant and can also be used outdoors. However, direct sunlight should be avoided. The acrylic glass mosaic prints are fade-resistant for 80 years. This is made possible in particular because the motif is printed directly onto the glass and cannot be removed from it. What finishes are available for photo mosaic acrylic glass prints? Two main variations are available for photo mosaic acrylic glass prints: 3 mm and 8 mm glass thickness. 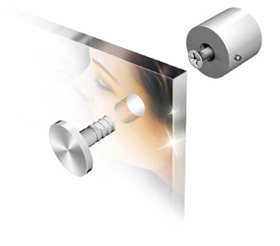 The 8 mm thick acrylic glass is treated in a special way. The edges are sanded with diamonds, which makes them smooth and makes it possible to see the photo mosaic through the sides. This effect gives the acrylic glass photo mosaic more depth. 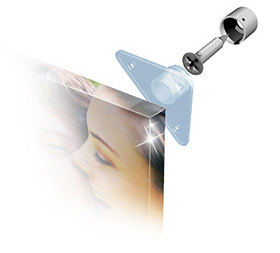 Tip: The thicker the acrylic glass, the more stable your photo mosaic acrylic glass print will be. We recommend 8 mm thick acrylic glass for large format photo mosaics starting at 100 x 100 cm. For smaller sizes the 3 mm version is perfectly adequate. 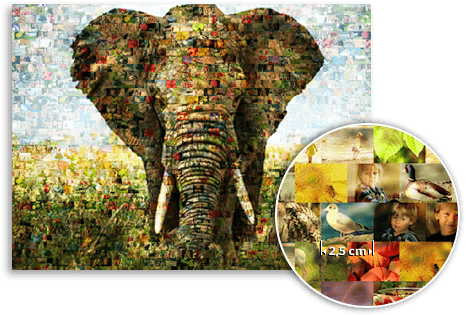 Choose your main image for your acrylic mosaic print – this will feature in large on your acrylic mosaic . 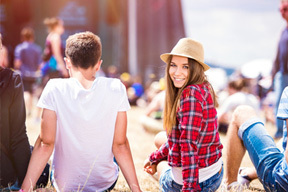 Then upload your individual photos into the app. The more photos the better. Within 24 hours, we’ll create a picture from many pictures for you – a photo mosaic. If you are happy with your photo mosaic, select your preferred medium – e.g. acrylic glass. Now you can order your acrylic glass photo mosaic. We’ll deliver to your door in 1-3 days.